Lower tire pressures in field equipment can reduce compaction while increasing yields, fuel efficiency and tire life. 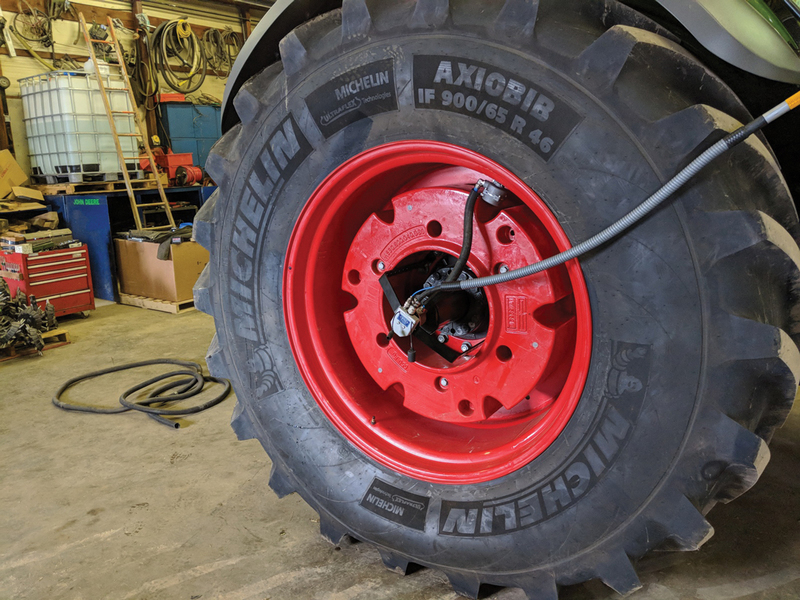 Advancements in central tire inflation (CTI) systems are making it easier for farmers to toggle efficiently between safe tire pressure for road travel and optimum pressure for field operations. Compaction can be divided into two categories. Tire pressure affects compaction in the top 25 centimetres of soil while wheel load affects subsoil compaction. 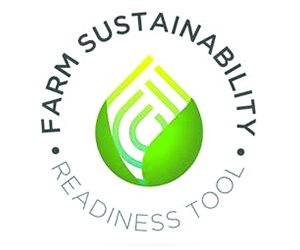 As farm machinery has increased in size, tire volume has also increased, but the overall footprint of the tires has not increased proportionally. As the load on each wheel increases, tires must be inflated to higher pressures to run safely on the road, but pressures over 15 PSI can damage the soil. “When you compact soil, it becomes smaller in particle size. It blows away easier or water washes it away,” said Jake Kraayenbrink, an Ontario hog and crop farmer who developed the AgriBrink CTI system. Compacted subsoil also impedes root growth and nutrient uptake in plants. Kraayenbrink said research by the Michelin tire company shows a four to five per cent yield increase is possible by reducing tire pressure in the field from 40 to 10 PSI. CTI allows equipment operators to change the tire pressure with the press of a button rather than manually inflating and deflating tires when travelling back and forth between field and road. Pre-set pressures for road and field operation are loaded into the system and air is vented from the tires when the operator reaches the field and switches to low pressure. Typically, an onboard compressor brings tire pressure back to road-safe levels when leaving the field, though some systems also feature an air reservoir for quicker inflation. There are a few systems on the market, with inflation times ranging from less than 60 seconds to four minutes. Three Hills farmer Don Boles found his interests in soil health and tires converged when he learned about CTI. He installed the German-made PTG tire inflation system on his sprayer and four-wheel drive tractor five years ago. By reducing tire pressure the footprint can increase 60 to 80 per cent and traction is likewise boosted. The benefit was apparent when he sprayed alongside a creek where the soil was heavy and moist. The low-pressure tires floated over the ground rather than sinking in. However, though he enjoyed having his finger on the pulse of new technology, he said he found repeatedly prompting the system to change pressure was tedious. 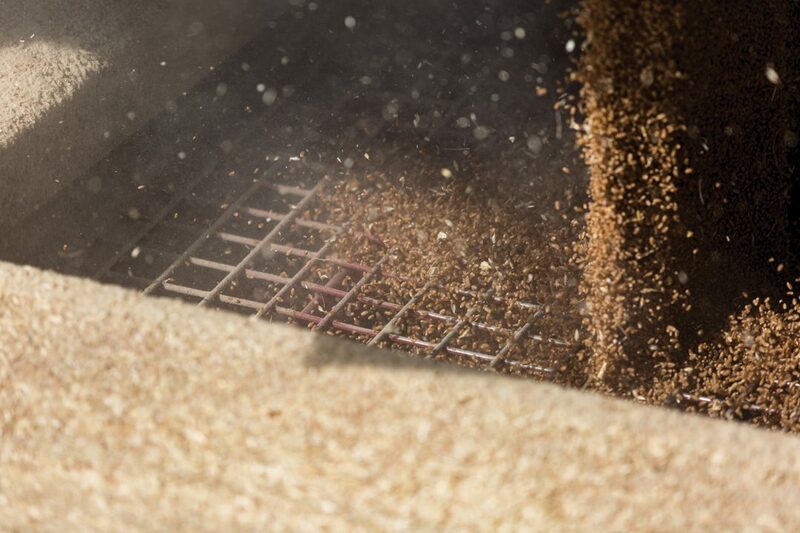 “Until some sort of automatic loading detection is developed—and I’ve heard that is happening—full and proper utilization of CTI systems will be elusive,” said Boles. The wheel company Trelleborg now has just such a system available as an option on new Fendt tractors in Canada. Branded the VIP system, it continually senses tire load and adjusts pressure accordingly. In cyclical loading situations such as with a combine harvesting grain or a fertilizer spreader unloading product, the inflation system adjusts the pressure to match the load, keeping the tire footprint on the soil consistent. It can even adjust tires on the same axle independently—on a side slope, the downhill tire will maintain higher pressure than the uphill tire. Competition is increasing in the CTI space. Several aftermarket systems at varying price points are now available and some new Fendt tractors will come to market with optional CTI installation. 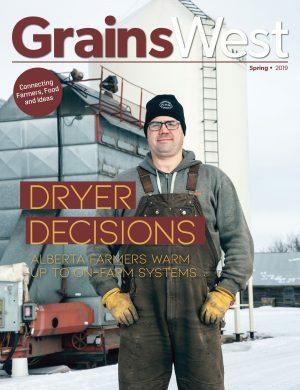 Although CTI systems are not yet in widespread use on the Prairies, this may change as concern about the effects of compaction on soil health increases.